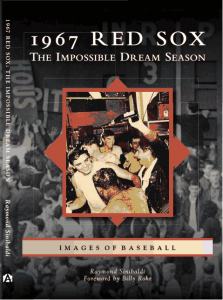 Red Sox fans who remember the 1967 Impossible Dream season fondly will want a copy of Raymond Sinibaldi’s 1967 Red Sox: The Impossible Dream Season (Arcadia Publishing). Younger Red Sox fans that weren’t around for that magical season will want a copy to learn what they missed. 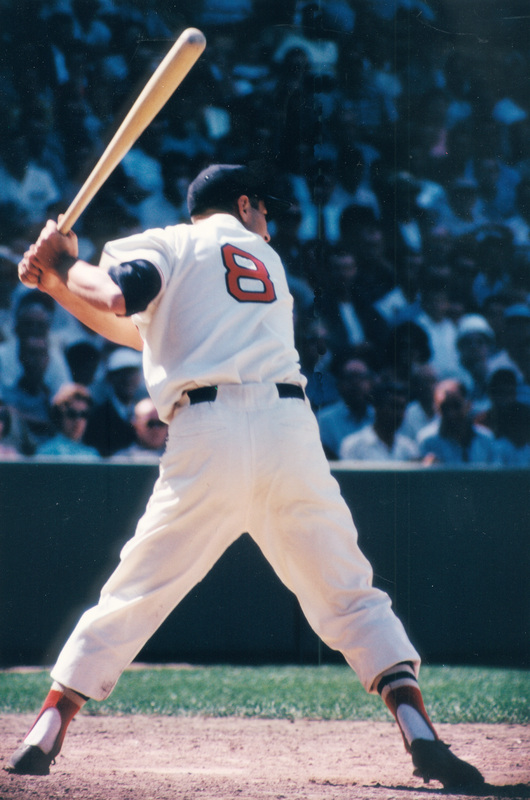 This is the sixth major book published about the 1967 Boston Red Sox (Full disclosure: I am the author of LIGHTNING IN A BOTTLE: The Sox of ’67) and Sinibaldi’s book includes more pictures than any of the five earlier books. There are over 220 pictures included and most are from the author’s personal collection. The 1967 Red Sox: The Impossible Dream Season opens with a thoughtful Foreword by Billy Rohr who achieved Red Sox immortality by pitching a one-hitter in his major league debut on Opening Day at Yankee Stadium against the Bronx Bombers. The book includes a brief overview of the team’s rich history and it includes 22 historical photographs of legendary Red Sox players and members of the front office. The author correctly identifies former Red Sox manager and general manager Mike “Pinky” Higgins as the main culprit in the team’s failure to integrate until 12 years after Jackie Robinson joined the Brooklyn Dodgers. The balance of the book tells the story of the 1967 season through pictures and words. This is generally a pictorial history with about 75% of the space dedicated to photos and the balance to narrative. This book covers every major event from the 1967 season and captures most important moments in picture. Highlights go from Rohr’s one-hitter, to Lonborg’s emergence as staff ace, Tony C’s tragic beaning, and, of course, Yaz’ amazing season. This pictorial history book includes Yaz, Lonborg, George Scott and Rico Petrocelli of course, and it also includes key contributors like Russ Gibson, Dalton Jones, Jose Tartabull, and George Thomas. 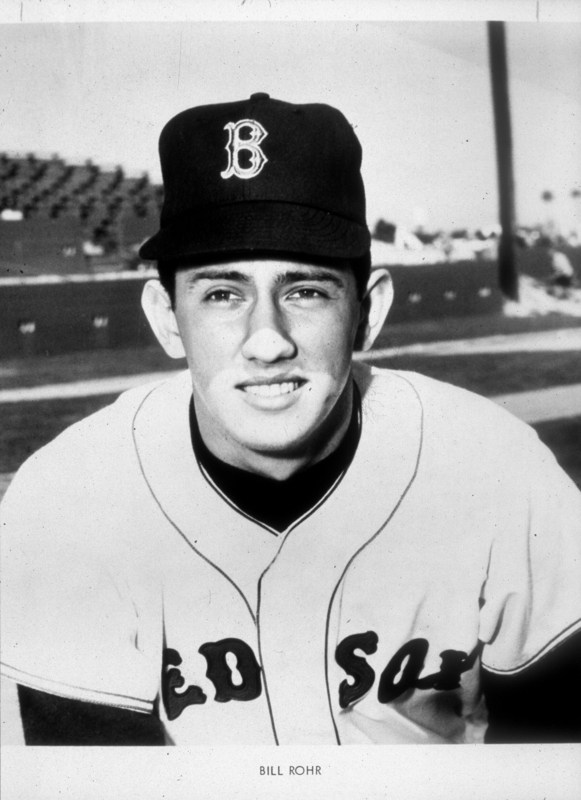 If a player had an impact in 1967, you will find him pictured in 1967 Red Sox: The Impossible Dream Season. A significant amount of space is appropriately allocated to the final weekend when the Red Sox swept the Twins and won the American League pennant on the final day. October 1, 1967, is the last time we will ever see the Red Sox win the pennant on the final day of the regular season and the last time we will ever see 10,000+ fans celebrate with their heroes on the grass at FenwayPark. Like so many Red Sox fans, Sinibaldi’s affection for the team is a family affair. “My earliest memories go back to my dad taking us to FenwayPark in the early 1960s when I was a kid,” Ray said in a recent interview. “We used to go on Family Nights when tickets prices were reduced. That was the only way we could afford it,” he adds. He agrees that the Red Sox teams of the early 1960s weren’t very good. “No they weren’t, but they always had players you could root for. For some reason I was a big fan of Earl Wilson,” he says of the big right-handed pitcher who was the second African American player after Pumpsie Green. Sinibaldi and his dad were among the first in line to buy World Series tickets when they went on sale and attended Game One together. His book reflects the insights of someone who followed every game and hung on every pitch. Sinibaldi’s book acknowledges that while New Englanders were enjoying a baseball season for the ages we all had neighbors, friends and relatives who were fighting, and too often dying in Vietnam. “As I did the research I came to realize that the two events were going on in tandem. Many of the Red Sox players were in the military reserves and took time off for training. “Then it was like an epiphany: I realized that my old brother Willie missed most of the season. First he was in basic training and then in mid-September he shipped out for Vietnam. I realized I needed to acknowledge the service of those who were in harm’s way during that time,” he emphasizes. 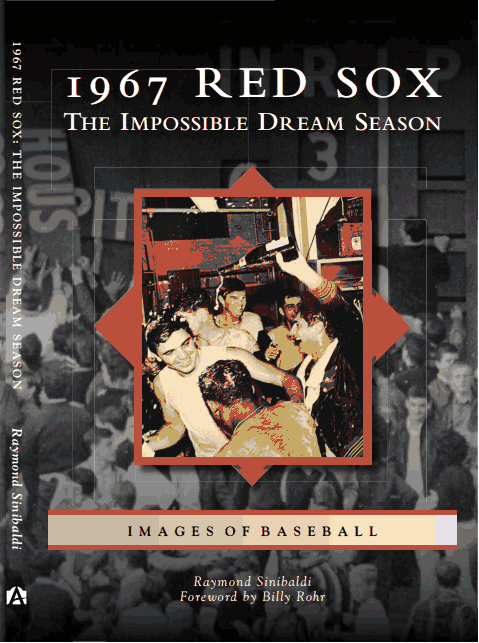 Sinibaldi’s 1967 Red Sox: The Impossible Dream Season reflects the passion of a true fan and the writing skill of a professional. He has authored or co-authored three previous books on the Red Sox and he is currently at work on a future book. If the 1967 Red Sox are your favorite team you will want to own this book. Or if you are simply trying to learn more about that wonderful season, you will want to get it as well. to purchase a signed and personalized copy.